Located some 150 kms from Mangalore, Murudeshwar is famous for the world’s second tallest Shiva statue and the 20 storied Gopuram. Go for a water scooter ride here or take a dive at Netrani island into the sea to view corals firsthand. Netrani Island, which is near Murudeshwar offers activities like Scuba diving and Snorkeling, but takes a full day, plan accordingly! Hotel Indraprastha is a good option to have vegetarian food, and lots of hotels and lodges on single/sharing basis are available for accommodation. Ride around 30 kms further from Murudeshwar or 8kms from Honavar, along the Panjim Highway and you will reach another amazing picnic spot. 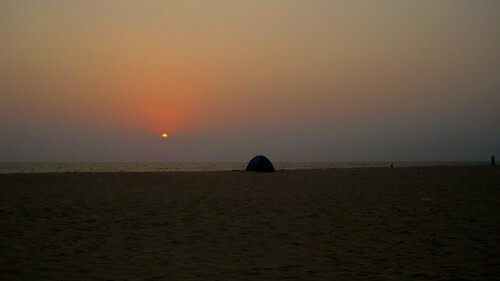 Isolated as it is, park yourself under the trees, enjoy the tree swings in the day and pitch your tent at the beach by the night, as yours truly did! And while you are there, don’t forget to savor the Water falls and a dip in the pond. But yeah, please manage your own food. Keep walking along the Apsara Konda beach or ride 4 kms more to arrive at the Eco Beach, another great option to enjoy the Sea waters in the distance while relaxing on your Sun bench and listening to your favorite music. Pronounced Gokarn, meaning Cow’s ear(reason: Lord Shiva is believed to have emerged from the ear of a cow here), you would be nearly 80kms from Murudeshwar Beach here. Famous for temples, it is a hotspot for tourists and pilgrims alike. Walk down this long beach in the night or host your friends a beach party here! Ohh, and the food here is not a problem, you get it plenty and you get it cheap. Starting from Gokarna, lot of scenic view points, curvaceous roads and a beautiful ride of 7kms later, you arrive at Om Beach. You can see the rock splitting the beach from a distance itself, also the reason why it is called Om Beach. Very famous with tourists and hence booked round the year, you will have to keep that in mind while planning. Also mind the narrowness if you are pitching your tent for the beach is not too wide. 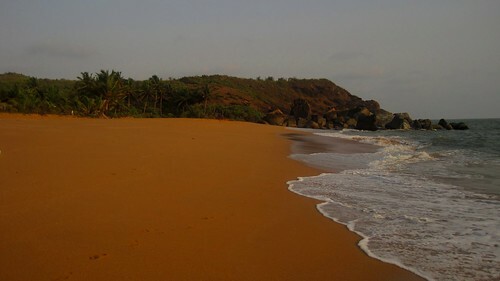 Looking for lesser populated beaches? So was I. 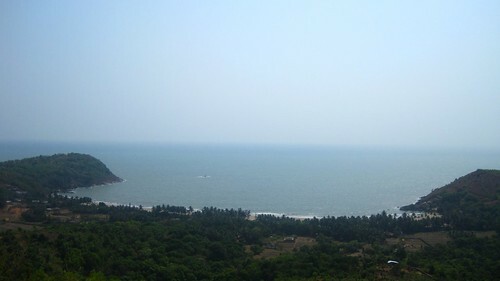 Around 25kms from Gokarna, you arrive at a town called Ankola from where you keep asking directions from the locals for 10kms to reach at Honey Beach. It’s a very isolated beach with beautiful rock formations, an ideal spot if you don’t want anybody nagging in your business. No water sports here, no hawkers, masseuse offerings, or a khichdi of any sort. But again, get your own food or rely on the only cottage in the area(expensive!). Drive back to Ankola for a hotel or there is that cottage again. I met another rider on the trip who told me about a few nice beaches in Udupi. Also, some foreign travellers enlightened me on Kudle beach near Gokarna, but since I didn’t visit them, they are not featured in the list. Next time, maybe? Do share what you like and what you miss here. These beaches appear to be breathtaking! Thanks for the information on these wonderful places! Hope to visit someday! apsara konda and the honey beach are the most exotic ones..u have enticed me to visit them by the lovely pictures u have taken…keep it up..
Tannu, your compliments are encouragement to me. Thank you. You truly are Roamer, wanderer nomad, vagabond. Honey beach looks really good. Good luck for your upcoming rides. 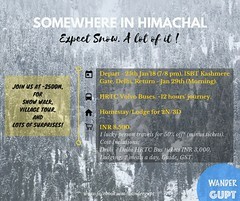 Superb clicks….professional postcard pics….tempted to visit the places all over again. 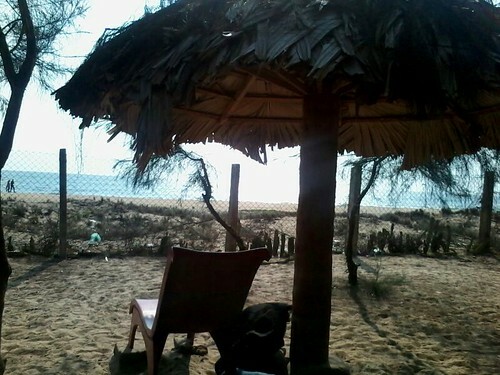 Have been to most of the beautiful beaches mentioned above…. Eco beach and Honey beach are new to me…next time shall target them. 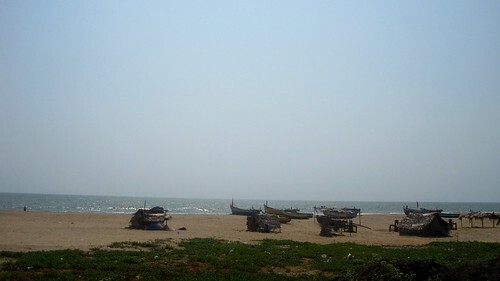 There’s one beach I love and it is the Maravanthe Beach. Spectacular view. 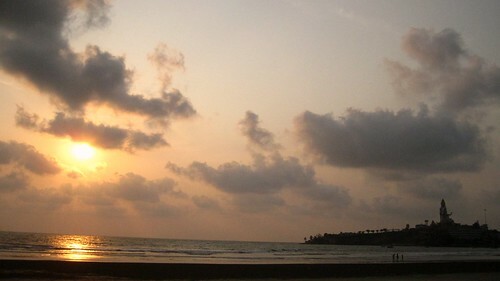 The beach runs parallel to the National Highway 17 and the most beautiful part is that you have Sowparnika river on one side of the highway and Marvanthe beach on the other. Such amazing pictures! Love it! The pictures have turned out amazing! Honey beach is something unique! Probably least exploitation preserved it’s beauty and did I mention it’s shoreline is just that? Not any further, very small beach this is, and rocks extend on both sides otherwise. A great advantage with bike trips, you get to see a lot more from other tourists. Noting these beaches, hope to visit them some time. Oh yes, that’s a very big advantage! 🙂 Hope you visit them soon.